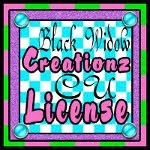 ♥ I Love Lucy DigiArt Designs ♥: Manik Monday Sale! Eerie Night Tagger for 50 Cents! Manik Monday Sale! Eerie Night Tagger for 50 Cents! My kit, EERIE NIGHT, is included in the sale today (which also happens to be Halloween) so get over to Heartbeatz Creationz and snag this kit at 50 cents!! !